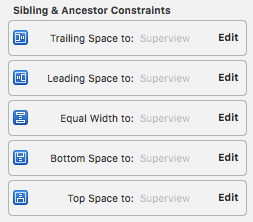 Sometimes you want to add something to a screen and then you become aware that there’s just not enough room. 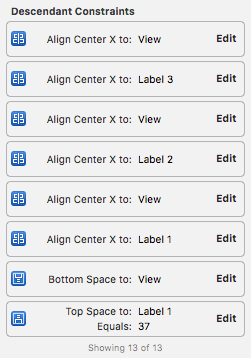 So it would had been a great idea to put everything into a UIScrollView all along. Though it’s a little bit tricky to do it subsequently, it doesn’t take a lot of time to do so. 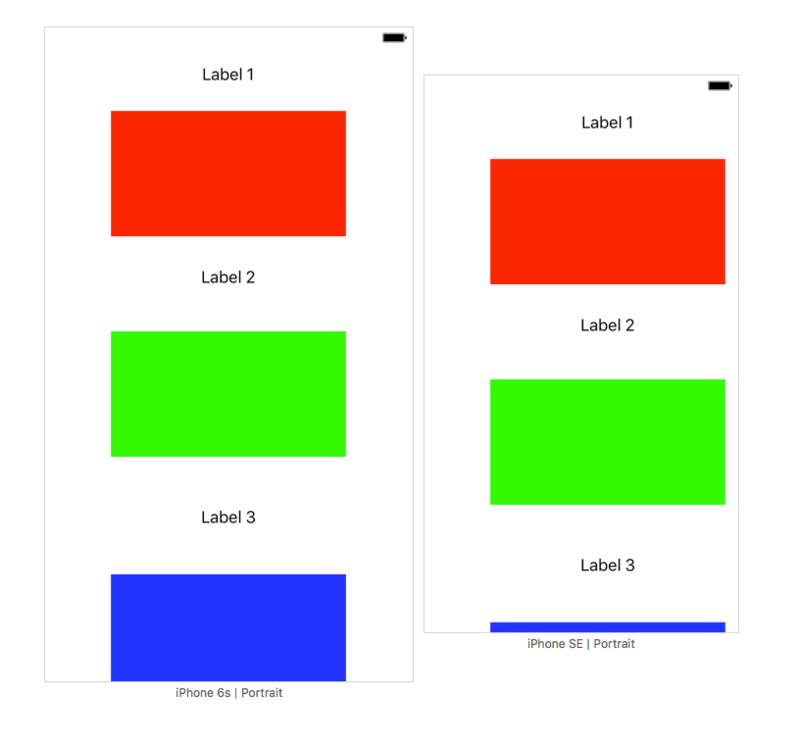 We have a label, a view and a second label. 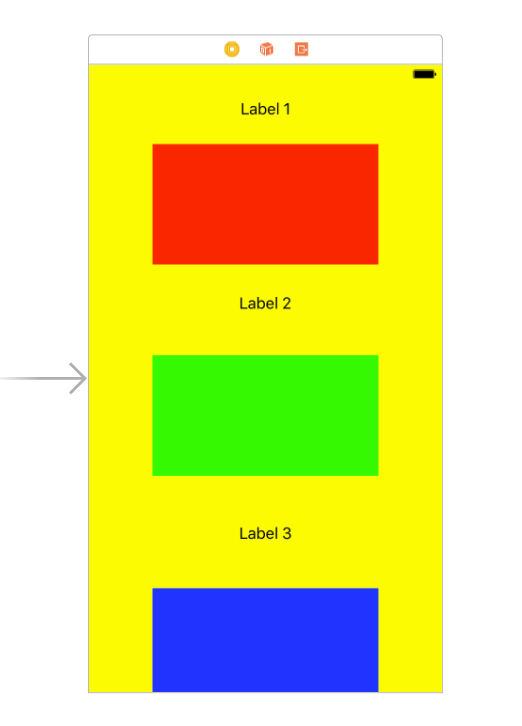 “Label 1” has a top spacing constraint to the top layout guide, the red view has a top space constraint to “Label 1”, and “Label 2” has a top space constraint to the red view. 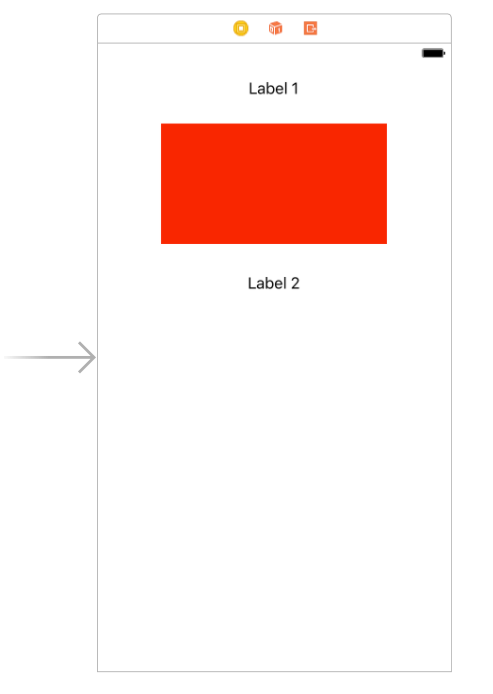 All elements are centred vertically and the red view has constraints for its width and height. 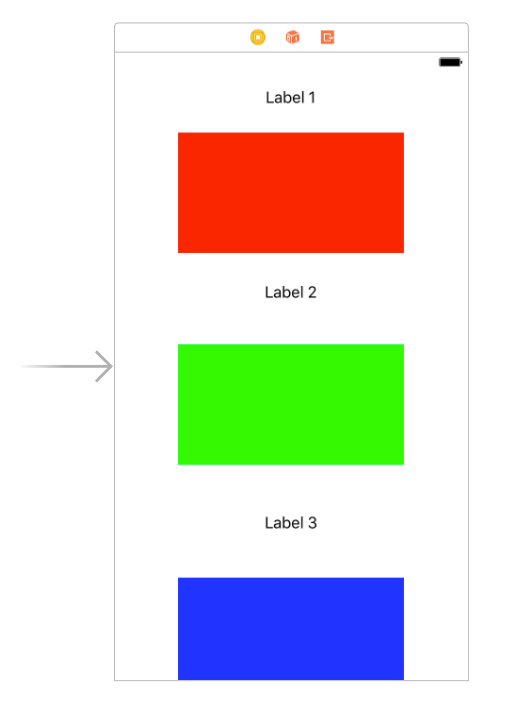 Remember that labels don’t have to have width and height constraints because they have an intrinsic content size. 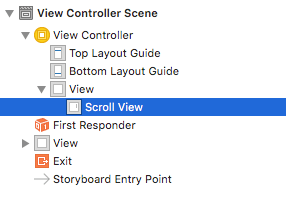 Also note, that we are not using an UIStackView. 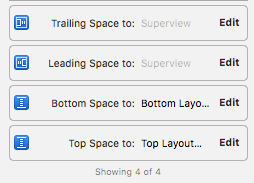 It would be of course also possible to put the stack view into an UIScrollView and that would be even easier. 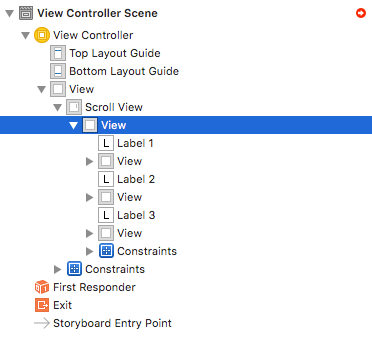 Drag a UIView inside the view controller. 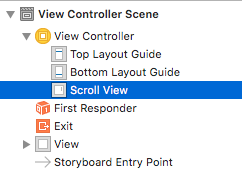 This view is now the main view of the controller. 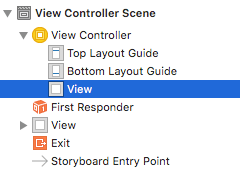 Please make sure that controller’s view outlet is pointing to that view, but at least in Xcode 8 this should be done automatically. And that’s it! 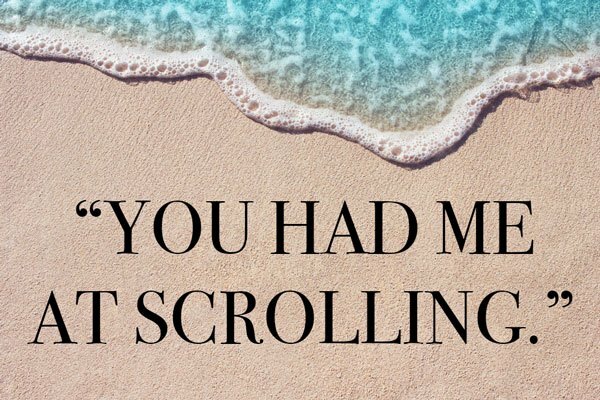 Now the view is scrolling as expected.